Multifunction photocopiers consolidate several pieces of essential office equipment into one. With in-built print, copy, scan and fax functions, hard-drive storage and the ability to electronically transfer documents to and from network folders and email addresses, it’s easy to see why they are such a popular choice for businesses of all sizes, from small offices to multinationals. Outlay: The initial spend on a multifunction photocopier can be costly. These complex pieces of equipment are undoubtedly worth the investment, but leasing as opposed to buying means that your spend can be split into monthly rental costs and this has a number of advantages. The money you would have spent on purchasing remains free to be redirected into other areas of your business that need investment and by limiting your initial spend, you will be free from any current budgetary limitations and could find that you can afford to equip your business with a higher performance printer. Asset: When you purchase a multifunctional photocopier it becomes an asset that can be factored into your business’ worth and when the time comes to replace it, the multifunctional photocopier has a resale value to you. However, technological equipment tends to depreciate faster than any other machinery and as soon as you purchase a multifunctional photocopier, it starts to be worth less to you. 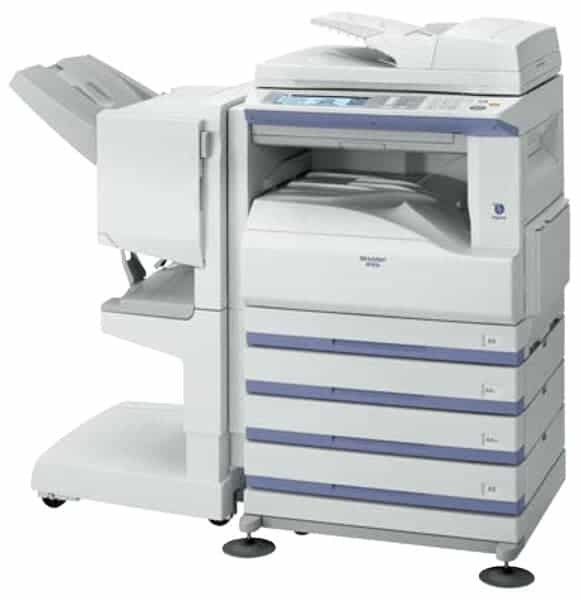 When you lease a multifunctional photocopier, you avoid tying up money in an asset that is depreciating. Upgrades: Technological equipment may depreciate faster than any other, but it also develops faster than any other too. This means that the multifunctional photocopier you purchase now could quickly become outdated. When you lease a multifunctional photocopier, you can enjoy the freedom to upgrade it as the technology develops, so there is no risk of your equipment becoming obsolete or incompatible with any software that communicates with it. Companies that lease multifunctional photocopiers usually offer flexibility and if your business expands and your existing photocopier can no longer cope with your print needs, you can upgrade it with your supplier. Warranty: When you a purchase a multifunctional photocopier, you are likely to get a basic return to base 1 or 2 year manufacturer’s warranty as standard. However, when you lease a printer, you benefit from getting servicing and repair support should anything go wrong with your machine; your supplier has a vested interest in looking after the equipment that will one day be returned to them. Finance: When you lease a multifunctional photocopier you can easily factor in the cost of your monthly rental into your annual cash flow forecast and there are other financial perks too. Although the cost of an outright purchase could be deducted as a tax expense, the monthly rental costs could also be deducted and this could work out more cost effective in the long run. For further advice or information on how leasing a multifunctional photocopier could benefit your business, contact the experts at Photocopier Supplier.